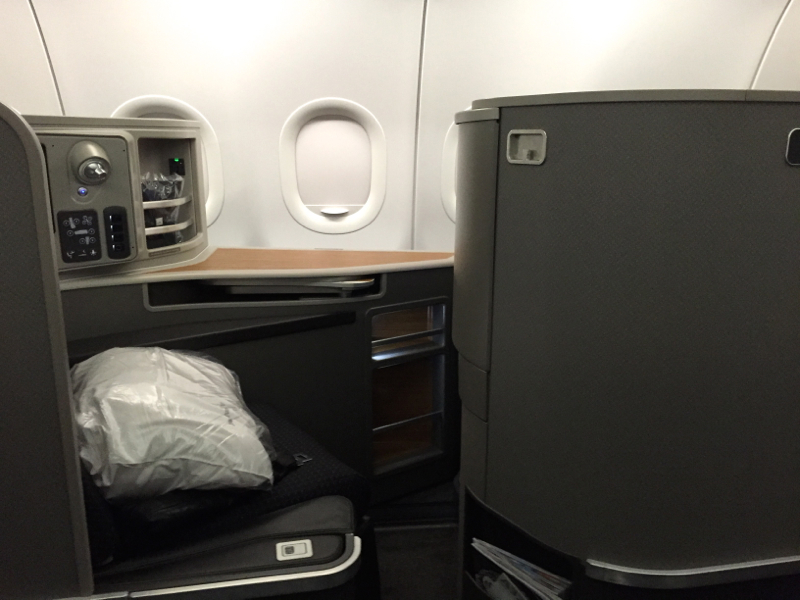 This is my husband's review, since he flew separately from us one day after we departed, as there are typically only 2 Air Tahiti Nui Business Class awards per flight. I boarded from the gate, and there was some miscommunication because the crew on board were not expecting any passengers yet. So when I got on the plane, the flight attendant was flustered and said he wasn't ready yet. Anyway, we began to sit down, and after a few minutes the flight attendant seemed to calm down. My seat was 2F, by the window, which my wife had chosen for me. 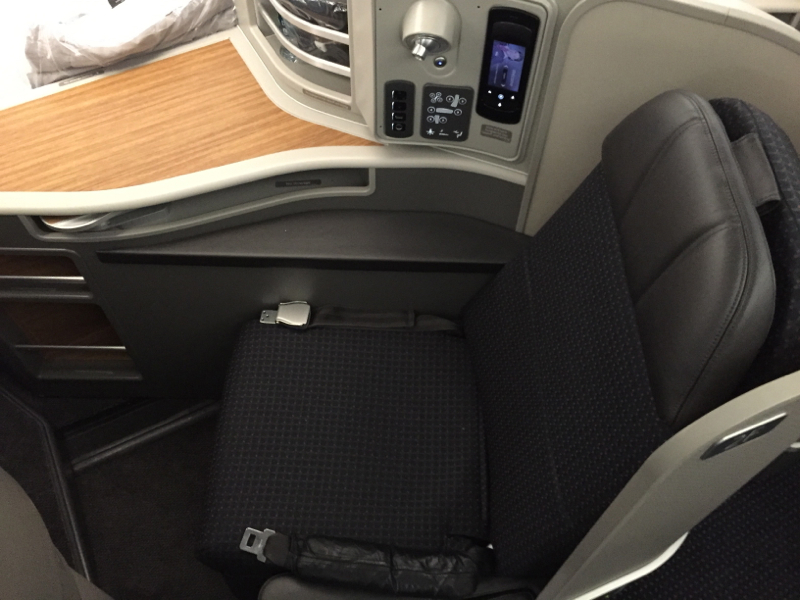 There are 10 first class seats in a 1-1 configuration, so each seat is both a window seat and has direct aisle access, which is unique for U.S. domestic flights apart from JetBlue Mint Suites, which there are four of. 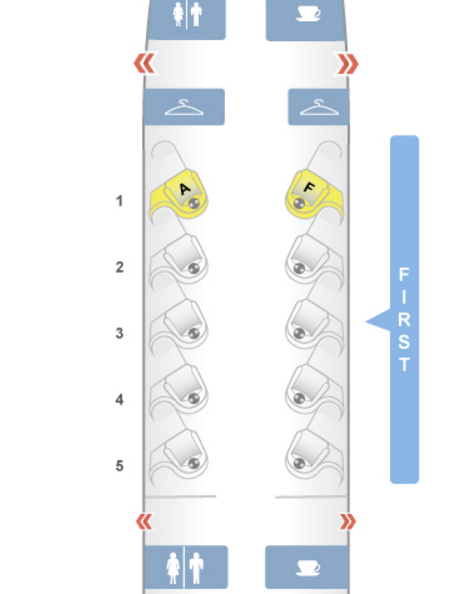 Here is the seat map; I'd recommend rows 2-4 and avoiding the first and last rows, due to their proximity to the lavatories and galleys. I was hoping to start watching a film, and asked for headphones, but the over-taxed crew member had to finish serving drinks before he had time to respond to my request. The disorganization continued, as the flight attendant announced that no menus were available for the flight. 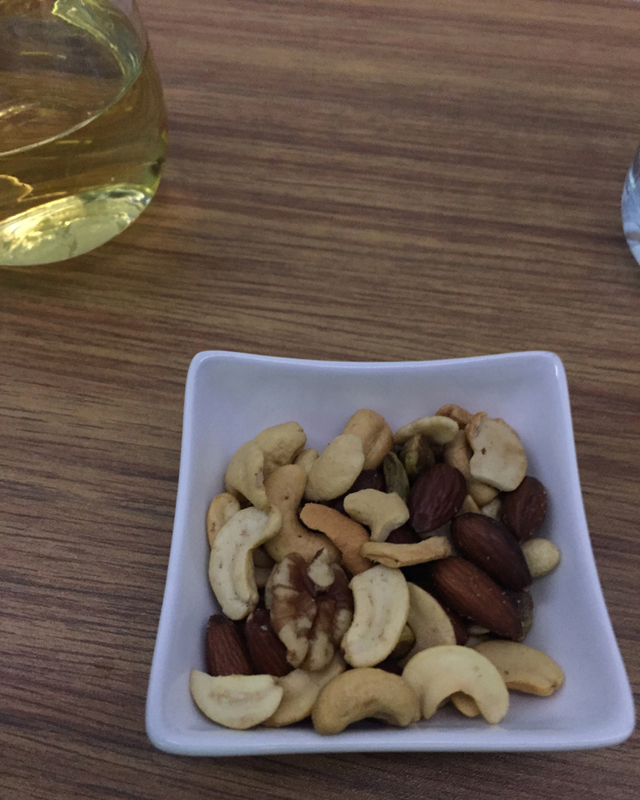 After takeoff, we were brought a hot towel, and mixed nuts. The First Class seats are angled toward the windows, and the entertainment screens must be swiveled out in order to be watched. This means that the entertainment system is not available during liftoff and landing. But the seat design is very useful, as there is ample space on the armrest/table to place devices and other personal items. The seat slides down and extends such that it connects to a little footrest inside the small foot compartment in front of each seat. 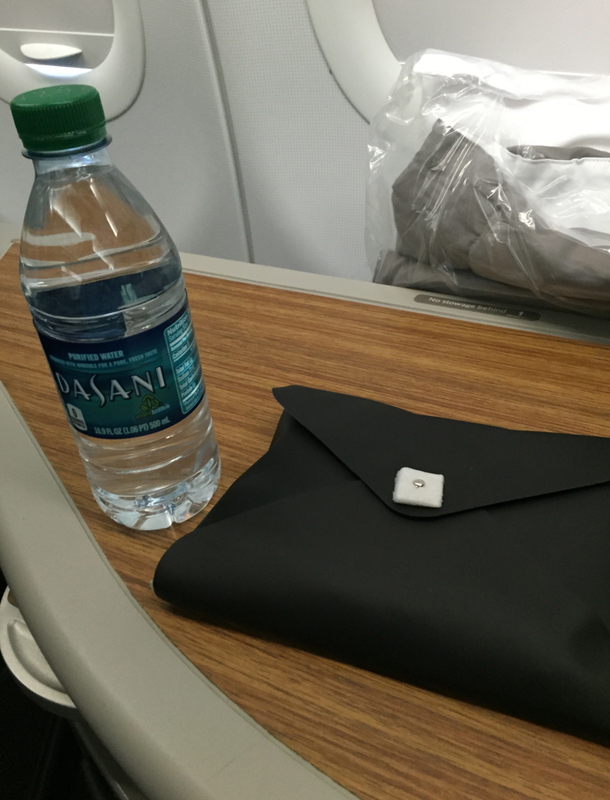 There is also a small compartment which nicely fits water bottles, so you don't have to worry about spills or rolling bottles during the flight. The seat control is very clear and intuitive. Unlike a First Class seat on an international flight, the seat was rather narrow, and also rather firm. For my lunch, I started with a fresh green salad with balsamic vinaigrette dressing. Next, I had a flavorful smoked salmon dip with nicely crunchy roasted garlic baguettes. For my main course, I had the meatloaf with mashed potatoes and grilled cherry tomatoes. 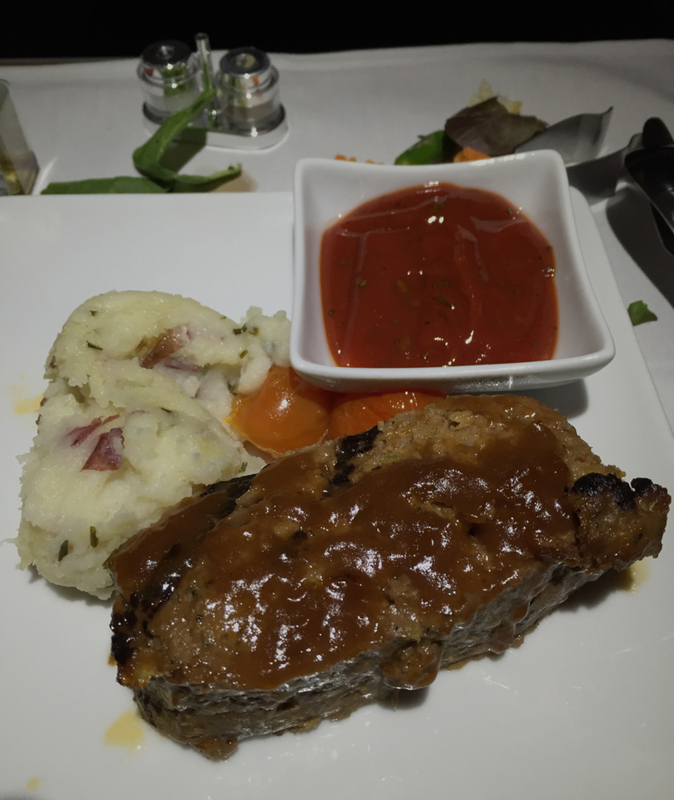 The meatloaf was delightfully spicy, and delicious with catsup. 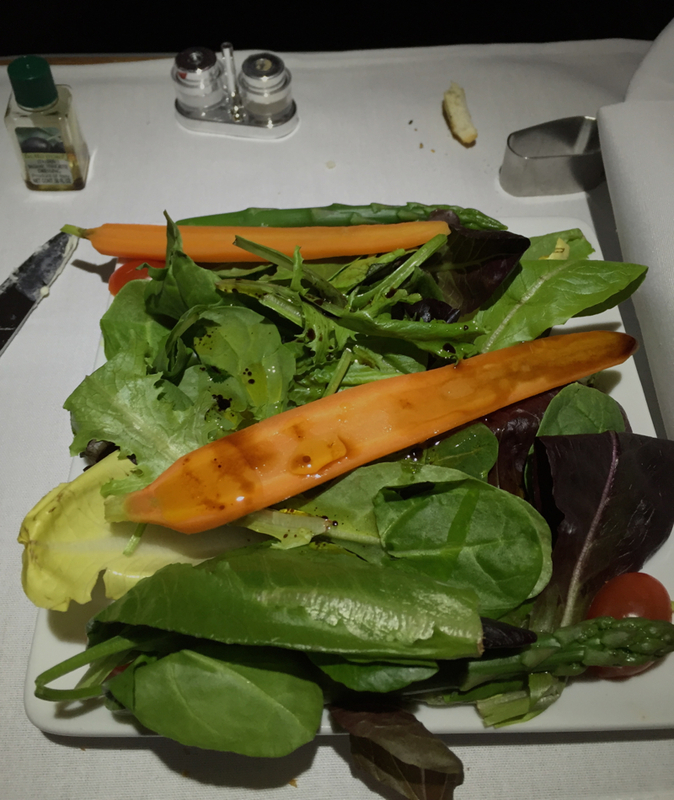 The course came with carrots and asparagus, that were well-prepared. 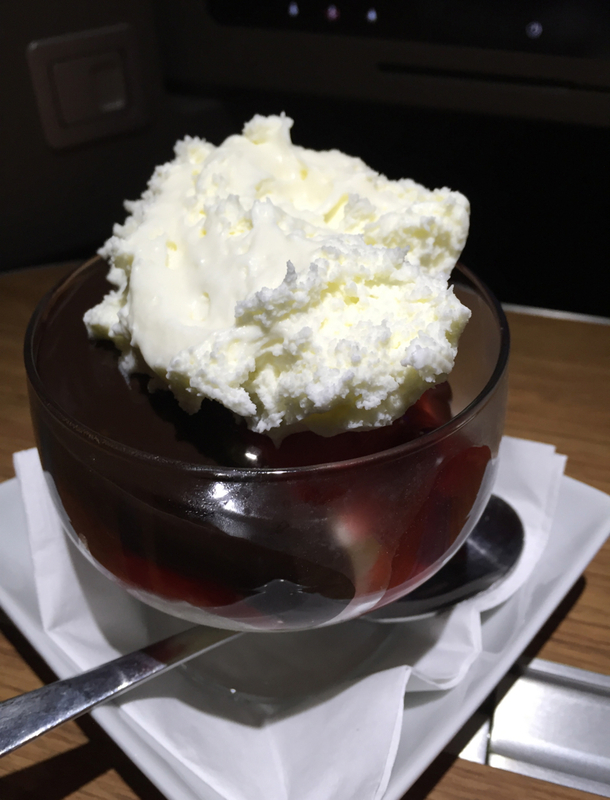 For dessert, sundaes were available, that could be personalized to one's tastes. I chose hot fudge, whipped cream and strawberries over vanilla ice cream. Butterscotch and nuts were also available. 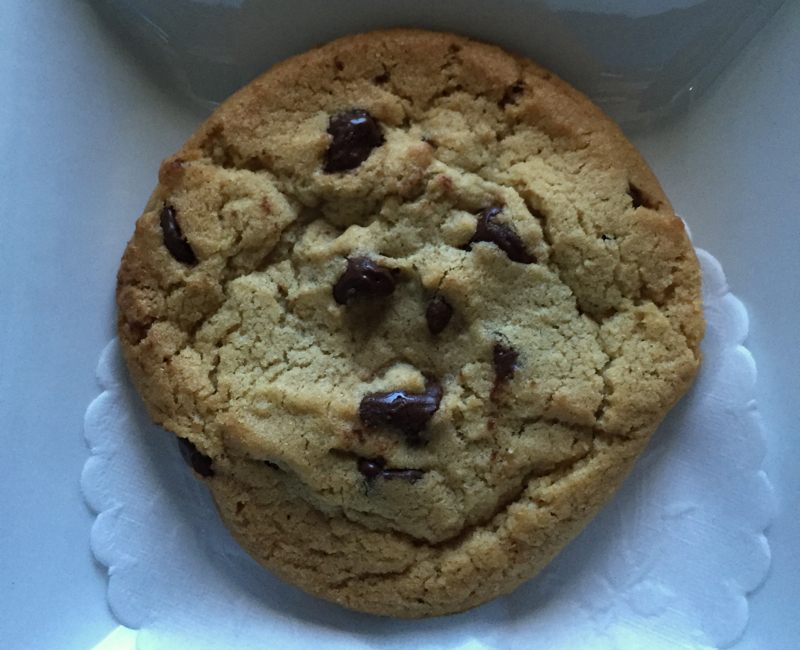 Just prior to landing, a warm and gooey chocolate chip cookie was served. The film selection on board American A321 Business Class is fantastic. There are many different films of different genres, and enough to keep any passenger occupied on cross-country flight. I watched the latest Star Wars film, The Force Awakens (for my second time), then I watched Carol, and then AI. There are many new releases, as well as top-rated older films. 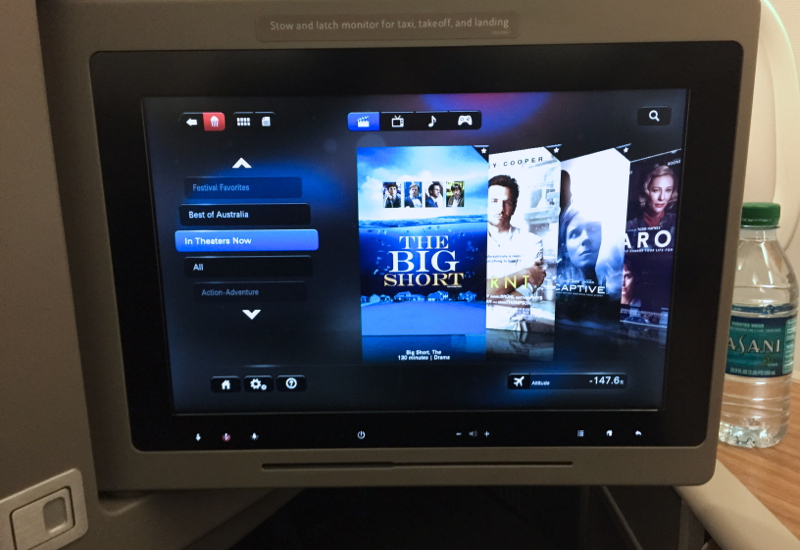 Of course, because this is not an international flight, there were very few non-American films, so don't expect the extensive international film range of KrisWorld, aboard Singapore A380 Suites and other Singapore Airlines flights. I was sympathetic to the one flight attendant covering the Business Class cabin, a no-nonsense man in his fifties. He managed well, but he certainly did not have time to make any one passenger feel special or pampered. Because I was on a daytime flight, I did not try to sleep. But I did try out the flatbed seat. I set the seat in its sleep position, and lay down to watch the films. 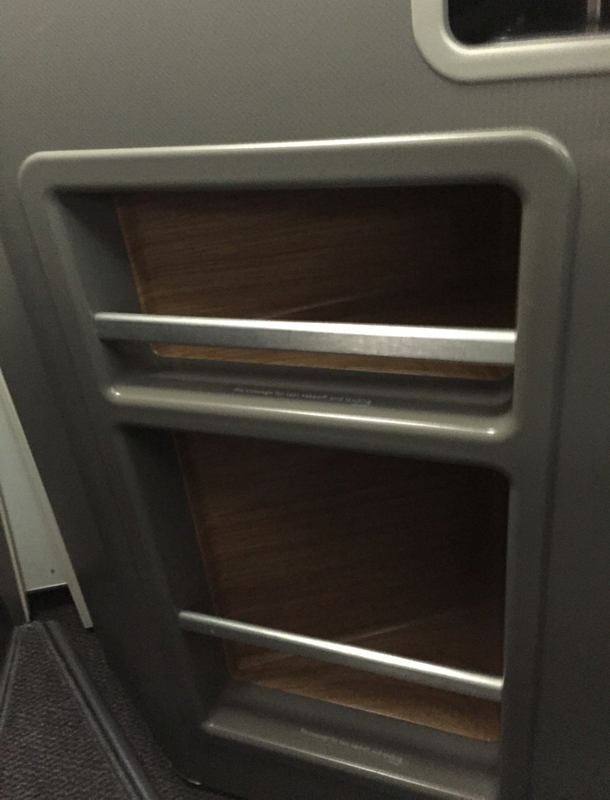 I was surprised that the portion of the seat that connected to the footrest sloped down on a slight incline. It did not prevent me from laying flat, but it was noticeable and made the sleep position somewhat less comfortable. Likewise, though the seat did fold down to form a flat surface, there were still bumps and small gaps where the seat sections fit together. 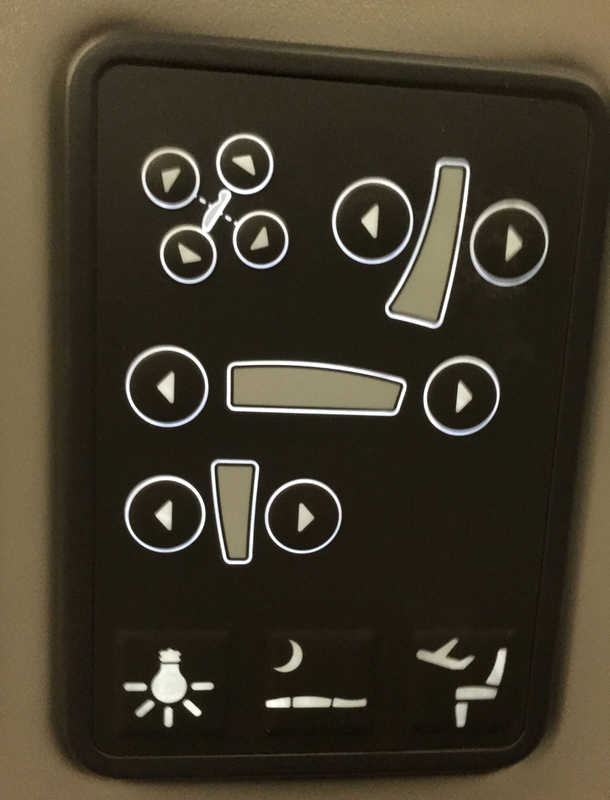 On an overnight flight I think most people would have been able to sleep despite these imperfections, and despite the fact that the seat was rather hard, but light sleepers might require sleep aids. 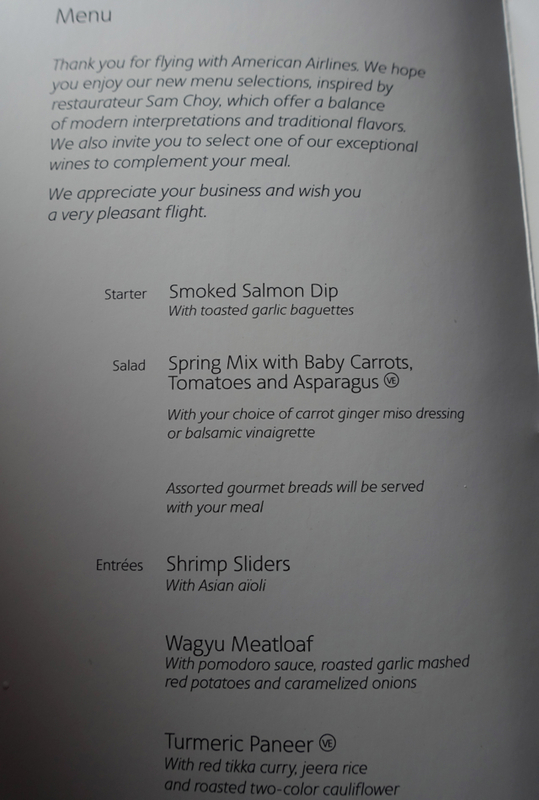 For U.S. domestic first class, the experience was terrific, and the food was really fresh and delicious. Although, the comparison is not really fair, it was hard to not think about international flat bed flights, in which case the American 321 is subpar. 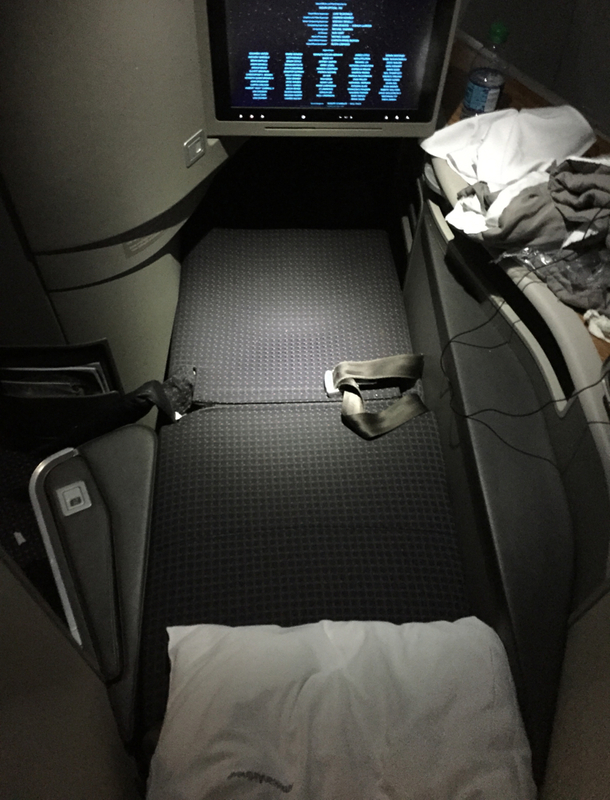 But among its domestic U.S. peers, the experience was outstanding, as it should be, since American offers the only domestic first class flat bed product on its A321 aircraft, with three separate cabins (four, if you count Main Cabin Extra). 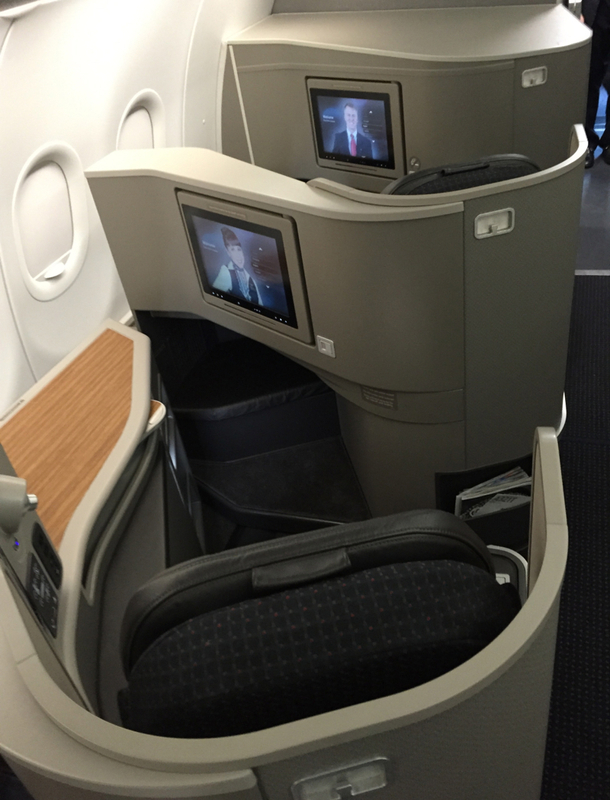 If you've flown American Airlines A321 First Class, what was your experience? Become a TravelSort Client and Book Your New Zealand Luxury Lodge with Virtuoso Amenities!